LASIK surgery may be more advanced and easier than ever, but you still need to have the best support and guidance throughout the process. At Eye Appeal Optometry, Henry Oishi, OD, offers LASIK surgery co-management with your LASIK surgeon, which means that he’s there for you both before and after your surgery. Use online booking or call the Temecula, California, office to learn more today. LASIK surgery is a highly advanced type of laser vision surgery that's performed on an outpatient basis. In this surgery, your eye surgeon creates a small circle-shaped flap in your eye cornea and then uses a laser or a mechanical tool to incrementally remove excess corneal tissue to reshape the cornea. The goal of LASIK surgery is to correct vision to the degree that you no longer need to wear eyeglasses or contact lenses for vision correction. However, some patients may still need reading glasses after LASIK. Dr. Oishi will recommend an eye surgeon to perform this type of procedure. Am I eligible for LASIK surgery? 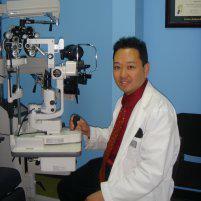 Dr. Oishi reviews your past and current eye health to ensure that your eyes are healthy enough for LASIK. In most cases, you need normal corneal thickness to have LASIK. If your corneas are too thin, you might not have enough healthy tissue for a successful LASIK surgery. Most patients have normal-sized pupils and qualify for LASIK. However, if you have very large pupils, LASIK might not be right for you because you're at higher risk for visual distortions like halos and glare after the procedure. Dr. Oishi compares your pre-LASIK exam with the exam you had last year. If your prescription changes often, you may need to delay LASIK until it stabilizes for at least a year. 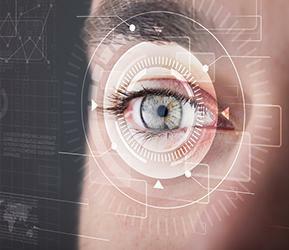 Most LASIK candidates have mild to moderate vision correction needs. If your vision problem is severe, you might not be a good candidate for LASIK because you would need too much tissue removal. If Dr. Oishi determines that you meet the qualifications for LASIK and you want to have the procedure, he then starts working with your eye surgeon to co-manage your care. What is post-LASIK care like? After your LASIK surgery, you follow-up with Dr. Oishi. He checks your eyes to ensure that you're healing normally. LASIK recovery can be quite smooth and easy if you follow Dr. Oishi's recovery guidelines. To find out if you’re a good candidate for LASIK, book a consultation today with the online scheduler or call Eye Appeal Optometry directly.